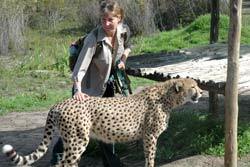 Things to do in Plettenberg Bay, Garden Route, South Africa. There is a lot to do within 15 minutes drive from Arch Rock. If you drive towards Port Elizabeth on the N2 you will get to the Crags. There you can visit Birds of Eden reputed to be the biggest free flight bird sanctuary in the world. 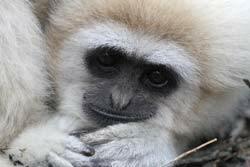 Right next door is Monkeyland which is the world's first free roaming multi-specie primate sanctuary. On the way back stop at the Pure Cape Textiles shop where you can buy Mohair blankets etc. for reasonable prices. 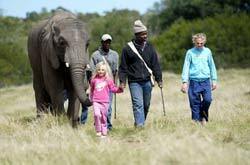 There is also an Elephant Sanctuary on the Crags where you can walk with the elephants or even ride them. The Crags also has a Snake Sanctuary and the newly opened Tenikwa Wildlife Awareness Centre where a variety of animals such as endemic cats are cared for. If you feel like a break visit our own wine estate at Bramon and enjoy a glass of wine and a light meal. 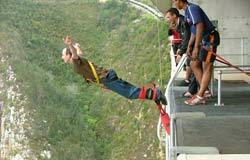 If you are into Bungi Jumping try the Bloukrans Bridge experience. This is reputed to be one of the highest in the world. 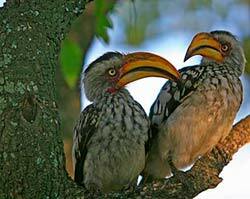 Further afield is Storms River Village and there you can go on a canopy tour and do various other outdoor activities. Travel towards Port Elizabeth and stop off at the famous Paul Sauer Bridge for a meal or just have a coffee break. Further on you can visit The Fernery as well as Fynboshoek Cheese Farm which serves a real French Style lunch but here booking is essential. 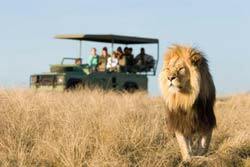 Contact Alje van Deventer on (042) 280 3879 – an experience not to be missed! About 15 minutes drive from Arch Rock into the Prince Albert Pass there are three game farms. Plettemberg Bay Game Reserve is the biggest game reserve in the Southern Cape and is home to Africa’s Big 4 (rhino, buffalo, lion and leopard). 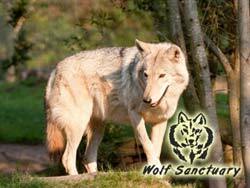 The Knysna Elephant Park allows the unique experience of feeding the elephants out of your hand and you can also visit the Wolf Sanctuary on the way. If you want to take a day trip travel to Oudtshoorn (about two hours) and visit the world famous Cango Caves and also the crocodile and ostrich farms in the vicinity.